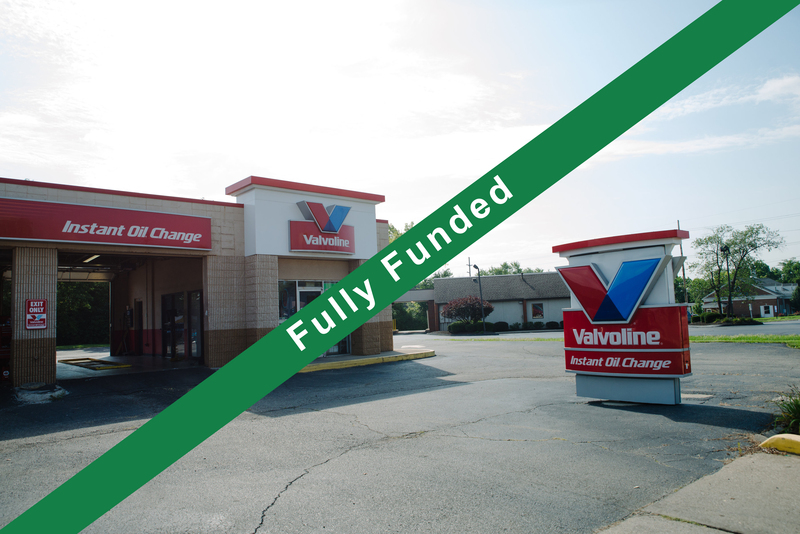 TripleNetZeroDebt.com LLC (“The Sponsor”) is providing the opportunity for investors to invest along with them in this 2,766 square foot, free-standing single-tenant building, 100% occupied by Miami Oil Company, doing business as Valvoline Oil Change located in Middletown, OH. This property has an average household income (2013) within a three mile radius of $51,938 and an average household income of $57,523 within five miles. The property sits between two signalized intersections; S. Breiel Blvd and Lewis St. and S. Breiel Blvd. and Roosevelt Blvd. It is across the street from a Wendys and one parcel down from McDonalds. The core objective of this investment is to receive a steady monthly cash flow while the property appreciates over time. Investor’s distributions will commence on the first of the month, 91 days following the close of escrow. Distributions will continue monthly thereafter. The lease is guaranteed by Miami Oil Company. Miami Oil Company is a 3-unit Valvoline franchisee that serves the Dayton and Miami Valley area. Located at 1321 S. Breiel Blvd. Middletown, OH 45042. Middletown is a city located in Butler and Warren counties in the southwestern part of Ohio. Middletown was incorporated by the Ohio General Assembly on February 11, 1833, and became a city in 1886. The population of Middletown as of the 2010 census was 48,694. It is part of the Cincinnati-Middletown Metropolitan Statistical Area as defined by the U.S. Census Bureau. Middletown is roughly situated half way between Dayton and Cincinnati, which according to historians, is how it got its name. Interstate 75 serves as the primary north-south thoroughfare connecting Cincinnati to Dayton and northern Ohio. Middletown is also home to a regional campus of Miami University (3,000 students). In 1957 Middletown was designated as an All-American City. It is nicknamed Middle City or Mid-City or Middle City. It’s motto is: “Bright past, brighter future.” It is located in the Eastern Time Zone (EST) and constitutes 26.43 square miles, 0.24 square miles are water. Cincinnati is located on the north side of the confluence of the Licking with the Ohio River. The latter forms the border between the states of Ohio and Kentucky. Cincinnati is the third largest city in Ohio and the 65th largest city in the United States with a population of 296,945 people at the 2010 census. The larger Cincinnati metropolitan area had a population of 2,214,954 in 2010, making it the 28th largest Metropolitan Statistical area in the United States and the largest censured in Ohio. Cincinnati is home to two major sports teams, the Cincinnati Reds and the Cincinnati Bengals. Cincinnati is also home to 9 Fortune 500 Companies, including, Proctor and Gamble, Macy’s, and Kroger. The region is ranked in the US Top 10 markets for the number of Fortune 500 headquarters per million residents, higher than New York, Boston, Chicago or Los Angeles. Cincinnati Ohio gets 44 inches of rain per year. The US average is 37. Snowfall is 20 inches. The average US city gets 25 inches of snow per year. The Middletown, Cincinnati area enjoys a moderate average temperature of 54.41 degrees Fahrenheit. The Cincinnati Bengals play their home games at the Paul Brown Stadium in downtown Cincinnati.